Trent Woble of WFMU Bronx Barge Party. Trent’s solar-powered DJ set with Solar 1, plus live bands. What Will It Take To Create a New World? Secret School and the K.I.D.S. host a "Wild Tea Party"
This is a zero waste event, so please bring your own cup. How does being afloat affect humanity? US Coast Guard presentation on water pollution in the NY Waterways, and what we can do. Performance by Eve K. Tremblay and BGL. Refreshments offered by the Quebec Gov. Office in New York. guises (in the river, in a bottle, in our taps) and our relationship to it. We will CELEBRATE the closing of our amazing four-month journey with "Future of Mobility, Urbanity, and Water(pods)" at the World's Fair Marina Pier 1 in Flushing, Queens from September 24 - 27th. On Sunday September 27th we will conclude with an all day I REMEMBER FUTURE goodbye Waterpod™ party from 11 am - 11 pm in conjunction with the Queens Museum of Art, featuring Natalie Jeremijenko's Environmental Response Systems, a sea sound and film installation curated by Lauren Rosati, "Ascend" a pirate television broadcast/ planetarium installation by artist James Case Leal, and DJ Trent from WFMU. 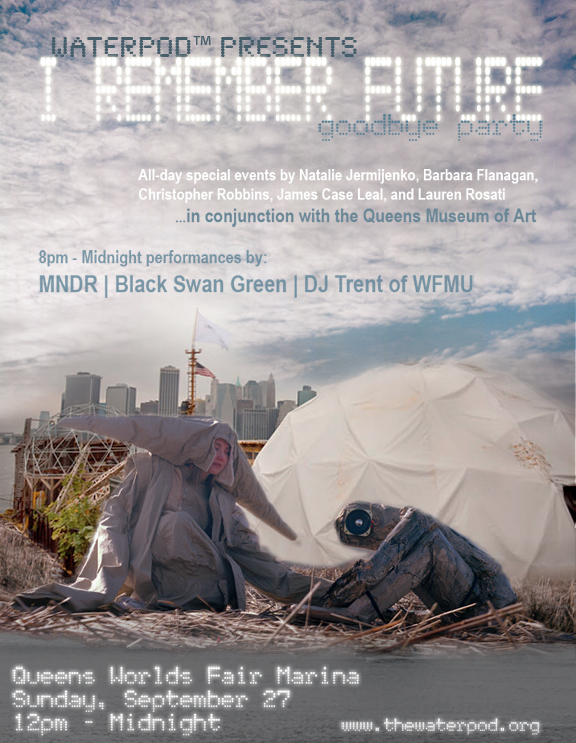 LIVE PERFORMANCES by Black Swan Green and MNDR, with Waterpod™ inspired drinks and memorabilia for sale. COME AND PARTY LIKE THERE IS NO TOMORROW on the Waterpod's final night 8 pm - 11 pm. TROLLEY SERVICE from the Queens Museum of Art to the Waterpod on Sunday September 27th, starting at Noon from Willets Point Avenue and going until 6 pm. The trolley will be making a loop from Willets Point/Citifield, Waterpod™, and the Museum continuously between 12-6pm (last leg leaves Waterpod™ for QMA at 5:45 pm, then QMA at 6pm for the subway). You can catch the trolley on Roosevelt Avenue immediately underneath the elevated 7 train stop. OR if driving come to museum first, and then you can either drive or take the trolley to Waterpod™. James Case Leal's radio tower sculptures have been quietly living in the Waterpod™'s garden. At sundown (approximately 6:45 PM) on Sunday, September 27 they will come to life to broadcast a pirated analog television signal to the surrounding area. It is an exploration of community, spirituality, and reuse that aims to reclaim and recycle these invisible commons. This artist residency was organized in collaboration with Montreal’s Occurrence Gallery who also invited 10 other artists on the Waterpod™ from June to September: Rodney Latourelle, Marc Dulude, Lynne Marsh, Diane Borsato, Sylvie Cotton, Isabelle Hayeur, Jean-Pierre Bourgault (in co-production with Avatar), Frederique Saïa, Kate Greenslade and BGL. These artists were curated by artists and co-curators Ève K. Tremblay, Mary Mattingly and Jean-Michel Ross with the participation of Canada Council for the Arts and Délégations du Québec in NYC. All the artists, as well as the artist-curators Ève K. Tremblay and Mary Mattingly, will show in September 2010 at Occurence Gallery. We will celebrate the closing of our amazing four-month journey with "Future of Mobility, Urbanity, and Water(pods)" at the World's Fair Marina in Flushing, Queens from September 24th - 27th. This celebration will include events with the Queens Museum of Art, Conflux Festival, Underwater New York, Swimming Cities, Terreform, Wicked Delicate's Truck Farm, Andrew Faust and the Center for Bioregional Living, hands-on workshops for Thriving After the Flood by artist Christopher Robbins, and Natalie Jeremijenko's Environmental Response Systems. 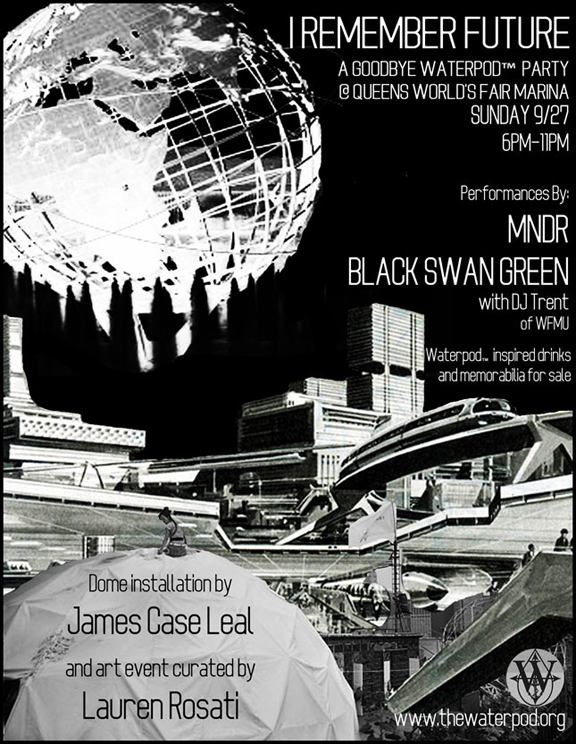 9 PM - 10 PM Live performances by Black Swan Green and MNDR. Saturday, September. 26th 6 - 8 PM: Jérémie Gindre and Frédéric Post, US debut, special showcase and sound performance, ceremony and lecture, as well as a work in progress sculpture, co-curated by Espace Kugler (Geneva/Switzerland), with financial help of PRO HELVETIA. Jérémie Gindre will sculpt a replica of the Coral Castle onboard Waterpod™ on Thursday, September 24, Friday September 25 and Saturday, September 26. Coral Castle is a stone structure created between 1928 and 1951by the Latvian-American eccentric Edward Leedskalnin, North of the city of Homestead, Florida. The structure is comprised of numerous megalithic stones (mostly limestone, formed from coral), each weighing several tons. The Coral Castle is considered very mysterious because it is said that one man assembled the entire structure, working alone nightly over 28 years. The whole story will be told Saturday, September 27, at 6-8 pm. During this ceremony, the Coral Castle will be flown into the river. Ocean of Blood is an upcoming project by the New York City-based artgroup Swimming Cities. We will embark on a voyage through India in Spring 2010. We begin the journey with the Kumbha Mela festival in Haridwar, and travel on the Ganges River through Uttar Pradesh to our destination city, Varanasi. Our team of artists, mechanics, and performers will collaborate with South Asian artists, musicians and tradesmen to create a fleet of sculptural rivercraft. Once in Varanasi, the separate crafts will link together to form a single vessel and floating stage where we will present a series of performances inspired by the experience of our immersion into Indian culture. The Swimming Cities project and its past incarnation, the Miss Rockaway Armada, have each year explored our historical and societal connection to the rivers and waterways, traveling with handmade rafts, gleaning inspiration, friendship and knowledge. This year's project is the most ambitious and far-reaching yet, as we travel farther from home, and expand to include larger-scale collaborations. Originally founded by visual artist Swoon, the crew of about 30 collaborators has developed over the past five years. Drawn from many arts groups such as the Toyshop Collective, the Madagascar Institute, Cyclecide, the Floating Neutrinos, LEMUR, and from the Bay Area, Minneapolis and New York, the crew includes circus performers, carpenters, artists, mechanics, and musicians. The Miss Rockaway Armada, a flotilla of handbuilt rafts, traveled the Mississippi River in 2006 and 2007. Swimming Cities of the Switchback Sea floated down the Hudson River to New York City in 2008, and as Swimming Cities of Serenissima, from Slovenia to Venice in 2009. We can also be found at weareswimmingcities.org and have a facebook fan page that will announce all of our upcoming events. Urban Permaculture with Andrew Faust focuses on regenerating today's cityscapes including ecological ways to bring clean air, water and healthy soil back into city centers and urban landscapes. Healing the city and healing ourselves. Living Machines and natural wastewater treatment, biogas generators, ecological niche market and value added business ideas, passive integrated water systems, rain gardens that alleviate flooding while addressing sewage treatment plant overflows and clean water, living roofs, rooftop gardens and regional energy systems. Andrew Faust, founder of The Center for Bioregional Living, has been teaching ecological design and Permaculture for over 17 years. Nearly two years ago he moved to NYC, after homesteading off the grid for 8 years in rural W.V., and hit the ground running teaching numerous classes, speaking on various panels, designing edible gardens, consulting urban and rural clients and volunteering in his local community garden. He is currently working on creating ecological training centers in North America and abroad and inspiring the next wave of students in his 4th full Permaculture Design Certification in NYC. Andrew has taught the PDC course over 13 times since 2003 at Yestermorrow Design/Build school in Warren, Vermont. Elizabeth L. Bradley is Assistant Director for Public Programs and Lifelong Learning and Deputy Director of the Cullman Center at the New York Public Library. She is the author of Knickerbocker: The Myth Behind New York, published this summer by Rutgers University Press. She edited Washington Irving's A History of New York, has served as a contributor to the Encyclopedia of New York City and the forthcoming Cambridge Companion to the Literature of New York, and has written about New York history and culture for The New York Times and Bookforum, among other publications. The Bronx welcomes Waterpod™ and celebrates the opening of its new urban sanctuary, Concrete Plant Park with locally programmed events including the arrival of SLO Architecture's Bronx River Crossing Watershed Raft, Mobile Gardening with artist Tattfoo Tan, Artist Katie Holten's Tree Museum and KayCee Wimbish from Awesome Farms in Tivoli will be hosting a New York City Chicken Meet Up onboard Waterpod™. Sunday September 13, 5-7: What Will It Take To Create a New World? A lecture with Melanie Chopko and Pachamama Alliance. This workshop connects the dots between environmental sustainability, social justice and personal fulfillment, and asks: How did we get here? While seeing all of these crises as symptoms of a larger issue of small thinking, we can discuss the new, emerging story of what is possible for the future, grounding hope in our ability to act powerfully and authentically on behalf of our world. Where Are We? – Getting a clear picture of the state of our world. How did We Get Here? – Tracing the root causes that lead to our current imbalance. What's Possible for the Future? – Discovering new ways of relating with each other, with the earth and looking at the emerging movement for change. Where Do We Go from Here? – Considering the stand we want to be in the world and our personal and collective impact. Waterpod™ will be docked at the World’s Fair Marina in Queens, giving us the opportunity to talk about the future: what worked with Waterpod 1, and what we have concluded we would change given a chance to try this experiment again. The Waterpod™ team will tour the on-board closed system, and explore the process of the Waterpod™ from its inception to the possibilities for the future. They will talk about the decision-making behind Waterpod™, how is was built and how it works, the choices made by the residents in their daily lives onboard Waterpod™, and the possibilities for the future of Waterpod™ and Waterpods. Mary Mattingly is a photographer and sculptor as well as the Founder of the Waterpod. 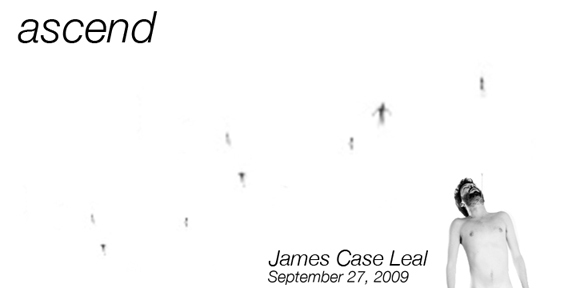 Ian Daniel is a curator, permaculturalist and filmmaker. Ian is the Residency Curator on Waterpod. Jes Gettler is a sculptor living and working aboard Waterpod™. John McGarvey is the Executive Director of Waterpod™. John is a local and international Art/Technology/Creative consultant for the past 15 years as well as an art and politics activist. Hendrik “Rik” Van Hemmen is an aerospace and ocean engineer and a principal in Martin, Ottaway, van Hemmen & Dolan, Inc., a maritime consulting firm that has been in continuous operation in the port of New York since 1875. Rik is Waterpod’s Nautical Engineer. After-the-flood survival skills with Christopher Robbins, Matt Bua, Douglas Paulson and Ian Warren. This series of hands on workshops will help you thrive in New York City after the sea levels have risen, including How to build your own boat from urban detritus, Waterborn edibles in NYC, Making portable gardens, How to make a solar cooker, Setting up cereal banks (D.I.Y. protectionism), Jerry-rigging 101, and basic mechanics. These are all hands-on workshops using scavenged materials. All work-shops are safe for children and adults, and no experience is necessary. You might get wet, you will get dirty, and you will do what you need to do to thrive and survive in this neodiluvian age ahead. Workshops topics subject to change instantly, unexpectedly and irrevocably. It's a wild wonderful world out there on the water. FUNCTIONAL UTOPIAN MANICURES for the URBAN SURVIVALIST! Cassie Thornton is a conceptual artist and she has developed the Barter System Beauty Salon as a platform to explore ideas of beauty with people and experiment with a profitable, non-monetary system for exchange. At BSBS a beauty service is given in exchange for a handwritten description of beauty. The situation that develops around this exchange is a hybrid business model based on many manifestations of 'beauty' and 'salon': prolificness and staying power of the family owned beauty salon, the history of experimentation within the french salon of painting, and the salon as a gathering formed just for the discussion of the mysterious permanence of beauty. The Barter System Beauty Salon can grow and travel virally - like a pyramid scheme that will lead to enlightenment instead of wealth. Onboard Waterpod™, BSBS will be offering a one day special: FUNCTIONAL UTOPIAN MANICURES for the URBAN SURVIVALIST! In exchange for a tax deductible description of beauty, clients will be able to receive a functional manicure that will open up the possibilities of what they can do with their hands! - A Sandicure: Sand your floors and your other nails with your very own abrasive fingernails! - Aeratio-Nails: Reduce turf compaction with this oh so fun-ctional manic-cure! - The Ruler: Let us turn your fingernails into measurement instruments! Measure distances with your very own hands. - Spoonfed: Go to breakfast at Tiffany's, but don't waste her sterling silver. Use your spoonnail! Artist in Residence onboard Waterpod™ at Concrete Plant Park, Bronx, New York. Drop by this waterborne Mobile Garden and learn more about composting and the adopt-a-worm campaign. Bring a piece of old luggage, an office chair, baby stroller or anything you can find that has wheels on it. We'll turn it into a Mobile Garden together. Most people have heard of the sea, but only a small portion of the world has experienced the sea. To many people sailing is something exotic that exists in maritime literature, and, indeed, many great authors have made their careers on writing about the sea. What makes being at sea so different from being on land is that being at sea is like going on a space voyage; once you are on, you cannot get off. Surviving at sea changes the way that people behave and often provides interesting insights into the human condition. This presentation will examine the effect of the sea on humans and will use this examination to provide further insights on Waterpod™ and sustainability in general. 12:00 - 5:00 PM Nicholas Fevelo and community artists create an affordable “art market” out of found materials. Fish and veggie sculptures will be made available for “sale” in the evening to benefit COAHSI and the Waterpod™. 6:00 PM Reception, including functioning “art market” and viewing of Day de Dada video highlighting their Art Recycle Project on August 1st at Van Duzer Summer Streets in Staten Island and Lucero music video by DB Lampman and Joseph White about children who build a boat out of recycled materials and launch it off to sea. 7:00 PM Musical performance by Bob Wright, accompanied by Bill Doerge and Chris Miner. 8:00 PM Screening of “Memory Loop” by Paul Moakley, with live musical accompaniment by Painting Soldiers. STATEN ISLAND, NEW YORK, AUGUST 4, 2009— The Council on the Arts & Humanities for Staten Island (COAHSI) is pleased to welcome the Waterpod ™ to the North Shore of Staten Island. The Waterpod™ will be docked on the shore in collaboration with the Atlantic Salt Maritime Festival, offering a variety of art and community activities for the public, free of charge. The Waterpod™ will be mooring on the shore August 18th and disembarking on September 1st. It will be docked outside the Atlantic Salt Company, so that the community may come on-board and experience the events taking place inside. 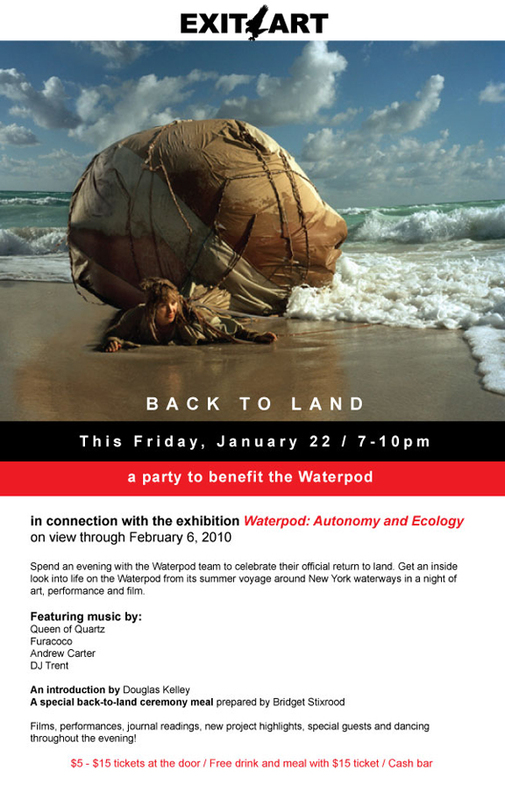 On Thursday, August 20th, COAHSI’s “Welcome Party” for the Waterpod™ will include a great line-up of performances and events. COAHSI and SICOLAB will be working together with the Waterpod™ team to provide great Staten Island based performances, events, and art collaborations for the duration of the Waterpod™’s stay. On August 20, from 12-5pm, Nicholas Fevelo and community artists create an affordable “art market” out of found materials. Fish and veggie sculptures will be made available for “sale” in the evening to benefit COAHSI and the Waterpod™. 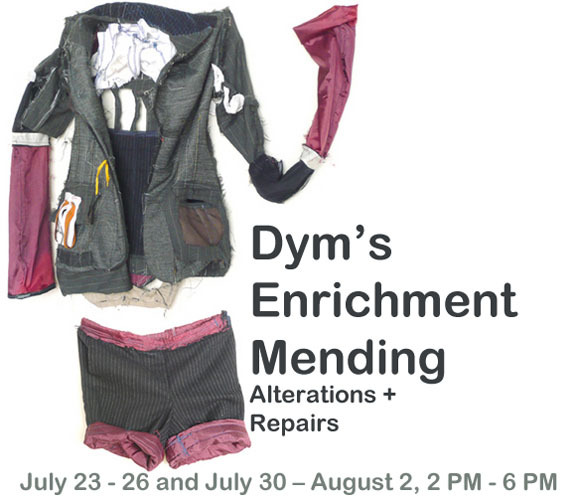 At 6:00pm you’re invited to the reception, including the functioning “art market” and viewing of Day de Dada video highlighting their Art Recycle Project on August 1st at Van Duzer Summer Streets in Staten Island. A musical performance by Bob Wright, with Bill Doerge and Chris Miner will take place at 7pm. End the evening with the screening of “Memory Loop” by Paul Moakley, with live musical accompaniment by Painting Soldiers; screening starts at 8pm. 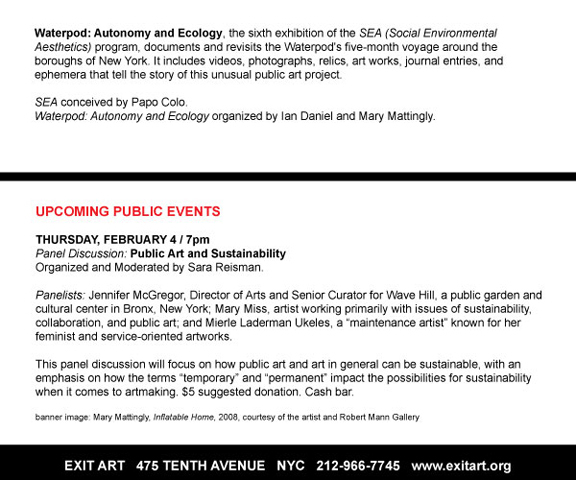 Other art and community events have been planned for the duration of the Waterpod™’s stay on Staten Island. Everyone is welcome to participate in the Atlantic Salt Maritime Festival featuring the Waterpod™, and a replica of Henry Hudson’s ship Half Moon. Join a guided tour of either the Half Moon or one of the other notable ships in the fleet during your visit. The Half Moon and Waterpod™ are both free and open to the public. The Waterpod™ will be docked outside the Atlantic Salt Company located at 561 Richmond Terrace, just west of Gerardi’s Farmer Market. The Council on the Arts and Humanities for Staten Island (COAHSI) works to foster, develop, and support the arts and humanities on Staten Island. We do this through professional development, technical assistance, and regrants to artists and arts organizations. COAHSI works hard to bring together artists, organizations, and the greater Staten Island community. Marc Dulude will be in residence on Waterpod™. He will be doing multiple art performances with a remote controlled Dazzling Ship, the Razzle Dazzle, on different water surfaces in various neighborhoods of New York City. Get Your Garden On Sunday Aug 16, 1-7 PM onboard Waterpod™. Carissa Carman and Logan Smith, the Waterpod™ Living Systems Designers. This is your chance to garden on the Pod. Come explore hands on garden maintenance, tricks, tips, insect identification and harvesting. A great event for the family or anyone interested in getting in touch or exercising their green side. Britta Riley from The Window Farms Project will be doing a how-to-build a window farm. Bob Hyland of the Center for Urban Greenscaping (CuGreen) will be on board during the day to present modern sub-irrigation methods and how to make recycled soda bottle planters. Severine von Tscharner Fleming from The Greenhorns: DIY 4H: Hands-on. Annie Novak from Rooftop Farms in Greenpoint will be stopping by to help out. With additional special guests: Urban Plant research. Subway directions: Take 4/5 to Borough Hall Station. Head west on Joralemon Street toward Clinton Street to Furman Street. Take M/R to Court Street, 2/3 to Borough Hall Sation Head west on Montague Street toward Cadman Plaza West. Turn left at Henry Street Turn right at Joralemon Street towards the river. Click here for a map. (Atlantic Salt - this overlaps with the Atlantic Salt Festival). Preserving the Tidal Wetlands and Ecosystems through studies of the original flora and fauna of New York. Click here for a map. The Waterpod is is a floating, sculptural, eco-habitat designed for the rising tides. We here at Boswyck Farms are honored to be invited to install a Hydroponic System on the Waterpod. Times are subject to change check the Boswyck Farms blog for the latest updates. Urban greenscaping is about growing food, flowers and foliage in the city using portable sub-irrigated planters. There is no need for tillable land. Grow food or flowers on balconies, patios, rooftops, driveways and other paved surfaces. Produce in the range of 50% more vegetables per square foot while saving water and time. 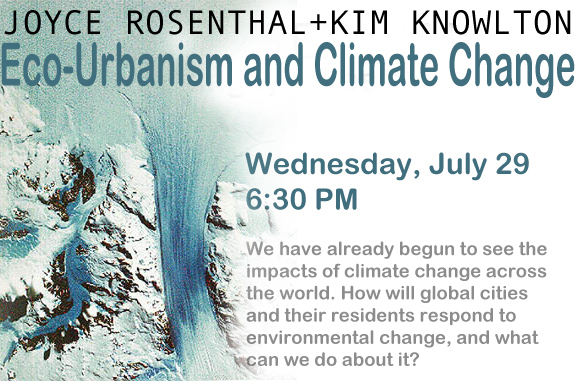 Kim Knowlton is Senior Scientist with the Natural Resources Defense Council’s Global Warming & Health Project. She researches the links between climate change and health, advocates for stronger climate-health preparedness, and promotes “win-win” projects that can reduce toxic air pollution and greenhouse gases at the same time. -Sample Jars w/ Extended Pole and Twine, Nets, Gloves, Eye /Ear Protection. -Overall & Floatation Work Suit (Mustang Suit). -Hard Hats/Flash Lights, Gloves, Ear Protection. -Variety of Oil Samples for display showing different viscosities. Join us for a local eco-adventure like you've never experienced. 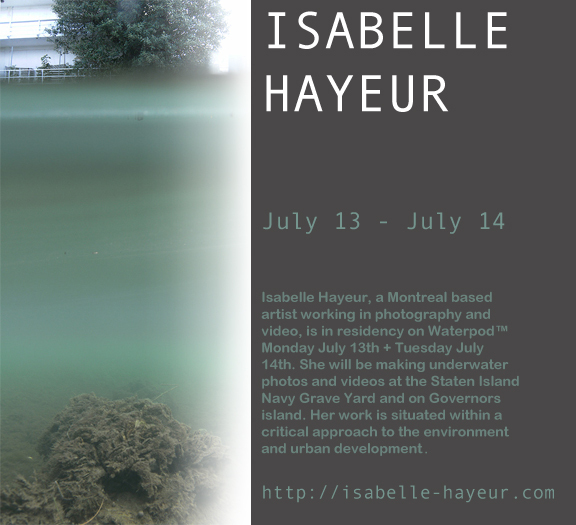 Journey to Governor's Island, board the Waterpod, and practice yoga on a floating, sculptural, eco-habitat. Our yoga practice will be a 75-minute slow flow class, suitable for all levels. In honor of our unique Waterpod surroundings, we will use our practice to strengthen our nervous systems and access a quiet self-confidence so that we may face our collective future with equanimity. After yoga, venture off the Waterpod to explore the many green spaces and picnic spots of Governor's Island. "For almost two centuries, Governors Island was a military base - home to the US Army and Coast Guard....In 2003 the federal government sold most of the Island to the people of New York for one dollar....The 172-acre Island is about 22 city-blocks long from tip to tip. The northern 92 acres of the Island are the Governors Island Historic District and are open to the public for picnics, tours, concerts, car-free biking, and more." Bring: long-sleeved t-shirt or light jacket, yoga mat, water, lunch?, your bike? LIVING SCULPTURES: What! Art and Oysters? One Artist’s Quest to Create the Ultimate Habitat for the Urban Oyster. New York City was once known as the "Oyster Capitol of the World", with its water systems once boasting 350 square miles of oyster reef. Now it has none. 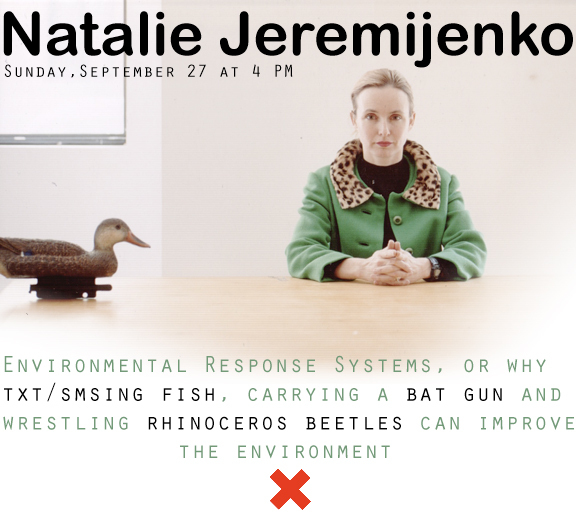 New York City based environmental artist Mara G. Haseltine wants to change that. 1:30 PM: Meet at Manhattan’s Governors Island Ferry Terminal, and arrival of special guest performance artist Jessica Delfino as "Ghost of Oyster's Past"
MARA G. HASELTINE, environmental artist and science based sculptor, will be giving a talk and demonstration showcasing her latest work in creating designs and structures for 'living sculptures" in order to create an ultimate urban oyster reef in New York City. In addition to her talk the artist will give a tour of her work "Modern Day Midden: Ode to Oysters Past" and related drawings, currently installed on Governors Island in "Colonel's Row" as part of the the sculpture Guilds' show entitled "Formative Lines", which was curated by the Drawing Center and is on display throughout the summer season. There is a long story – four centuries long, of migration into and out of New York State. No state has had as many immigrants, and no state has lost as many residents through migration. This process began early in the colonial period when Europeans moved in and much of the native Indian population left or was forced out. In the immediate post-revolutionary settlement, the state lost as much as a quarter of its population. Thereafter, migrants from New England poured into Central and Western New York, and shortly thereafter, left in large numbers for the Mid West and Far West. The early 20th century saw new waves of immigrants from eastern and southern Europe, and African Americans from the South. But by the second half of the 20th century, there was a massive migration to the South and West, centered on Florida and California. In the state’s recent history, it is once again defined by contrasting waves of in-migration and out-migration. Sponsored by the New York Council for the Humanities, Speakers in the Humanities.